The Asus VG248QE is a turbo charged gaming monitor capable of displaying the much sort after 144 frames per second. You’ll see a lot of debate around frame rates and whether it makes a difference but I always remember the first time I moved up to a fast refresh rate screen and I can confirm it worked for me! This model doesn’t have adaptive sync technology and it does use a TN panel but these two features do help to keep the cost down. 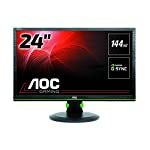 You do get what you pay for in the world of PC gaming monitors! On the plus side the 1ms response time and low input lag ensure that gamers will be impressed. The VG248QE comes with the full range of adjustments, you can move it up and down, side to side and even back and forth all with ease. You can swing it into portrait mode if you must, probably not a requirement have for most gamers though. You might not think this is all that important but as someone who has lived with a monitor on a pile of books for many years – I regret not having the option! If you need further options, you can make use of the VESA 100 x 100 mounting. The overall design feel is fairly bland in my opinion, it’s not going to win any design awards but then it doesn’t really do anything wrong either. 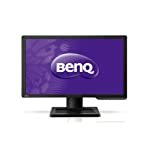 There are monitors with thinner bezels out there if that’s your thing. 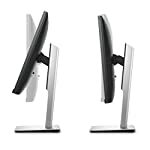 The glossy finish is fairly standard for monitors in this bracket. Connectivity includes DVI, DisplayPort, and HDMI but no VGA or USB ports are included. There is a 3.5mm headphone jack and it even includes reasonable speakers. They’ll not be replacing your HiFi and game players will probably be sticking to headphones any way but if you want to watch a movie then you’ll be able to sit back without having to be plugged in. Asus have built a monitor for gamers here. 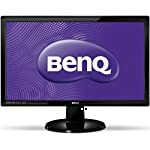 Whilst it doesn’t feature adaptive sync technology this is a monitor that will be able to output 144 frames per second, so if you have a graphics card that can handle that then here is a screen that will pair up nicely. You’ll need a decent modern powerful GPU to get a constant 144 frames per second but at only 1080p this is achievable for the mid range latest graphics cards like the GTX1060. The TN panel does have some limitations, particularly with colour degradation when viewed of center. To be fair this is a limitation with the technology and not a specific fault of this monitor, in fact this screen has performed better than most when tested in professional reviews. You may want to look at IPS screens but of course these come with additional cost. Overall ASUS have done what they set out to achieve and produced a game friendly monitor that still holds up will against more recent competition. The price has fallen slightly to reflect the lack of FreeSync or G-Sync but the 144hz refresh rate is still a big draw for serious gamers. We give the Asus VG248QE a 4.5 out of 5 rating. Want to know what existing owners of the monitor think? You can read real user reviews here. 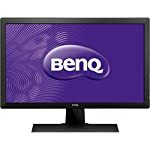 Should I buy the Asus VG248QE? The Asus VG248QE is a monitor built with gamers in mind, the out of the box 144hz refresh rate well be enjoyed by the serious gamers out there just as long as your gaming rig can output frames fast enough. With impressive all round visuals this looks worthy of your consideration. If you are having some doubts about this purchase then why not read some real owner reviews and see what other buyers think.